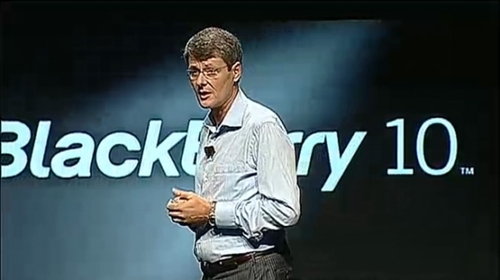 10/01/2013: RIM to offer 6 BB10 devices and 3 US carriers will offer them! Nokia Q4 results look good! Amazon announces AutoRip and much more! RIM confirm at least 6 BB10 devices at different price points are coming as US carriers confirm they'll offer them! RIM's Chief Marketing Officer, Frank Boulben, gave away some interesting details when he agreed to an interview with Fierce Wireless at CES. "We intend over time as we transition the portfolio to have a full range of devices." He also confirmed that BB10 phones are currently being tested by 150 carriers around the world, which is a heck of a lot of people that will have the opportunity to pick up one of these phones when they launch! He even went as far as saying that “They [the carriers] very much believe that we can be the third platform.” We're sure Nokia and Microsoft might have something to say about that (See the next article below!). If you're an app conscious sort of person then fear not as RIM will have a pretty impressive 70,000 apps for you to download from day one! These devices also try to satisfy both consumers and businesses and as such they will be the first smartphones to offer new features like BlackBerry Balance, something which allows you to separate business and leisure apps! The second part of this story is that Verizon, AT&T and T-Mobile all have plans to carry the BB10 range even if it's slightly tentative at the moment! Verizon CEO Lowell McAdam said “We’re hopeful its going to be a good device... We’ll carry it.” AT&T were considerably more hesitant saying that they would offer the device, but more to keep upgraders happy then to attract new customers. Their CMA David Christopher said, “It’s logical to expect our current [BlackBerry] customers will have the best BlackBerry devices to choose from in the future.” T-Mobile seemed most positive, but that might just be their CEO, John Legere's personality coming through! He said, “We’re extremely optimistic that it’s going to be a successful product... our business customers are extremely interested in it.” Again the 'un-carrier' wasn't convinced it would be popular with consumers! Nonetheless there is currently 79 million of you out there rocking your Blackberry's so RIM is confident that people will pick up a BB10 phone when they're ready to upgrade! What do you think? Excited about the launch? Let us know in the comments below! Via Reuters and Fierce Wireless. 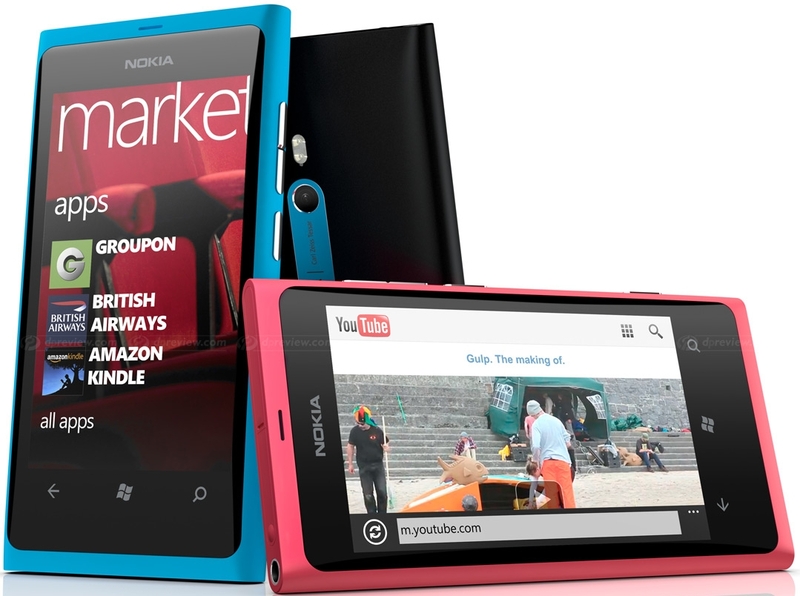 Nokia announce better than expected Q4 results: 4.4 million Lumia's left the shelves! With the future of RIM just a few weeks away we come to Nokia, a company who has already pledged their future to Windows Phone, for better or for worse. So with Windows Phone 7 the operating system wasn't really ready for the prime time. It launched without basic features like copy and paste, but these were added later. But, with Windows Phone 8 Microsoft has offered up a relatively well rounded experience, so with that surely Nokia will have sold more devices? In the first but of good news coming out of Nokia HQ in quite a while the sales of all their smartphone ranges are looking good. 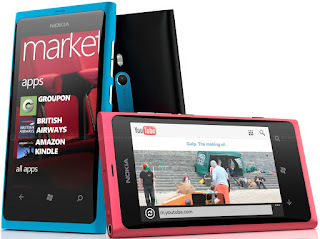 The Smart Devices unit of Nokia saw net sales of 1.2 billion euros and a total of 6.6 million devices were sold. Out of that two thirds, or 4.4 million were Lumia smartphones. Nokia shifted a total of 15.9 million units, 9.3 million of which were Asha full touch devices and 2.2 million were Symbian phones, apparently people are still buying them! Nokia's CFO, Timo Ihamuotila, did say that Q4 was the “last meaningful quarter for Symbian” sales, which is no surprise really. Despite a good Q4 for Nokia, they do expect things to be slightly worse in Q1, something which is a 'seasonal trend', which is business speak for everyone spent all their money over Christmas! That news wasn't enough to put investors off, as Nokia shares rose 16% following the release of "better than expected" perfomance! Have you got a shiny new Lumia in your hands? Does Windows Phone even interest you? Let us know in the comments below! Nokia Via PhoneDog and IntoMobile. Google is now offering all Play Store publishers the opportunity to reply to comments on their rating system! This should help make the reviews more accurate and fairer, perhaps stopping people who have a vendetta against certain apps! ZTE are rumoured to be working on a new phone with an insane screen! If the rumours are to be believed then there will soon be a ZTE Nubia Z7 will have a 6.3-inch display with a jaw-dropping resolution of 2560 by 1440 pixels! The rumour doesn't stop there either, the device will supposedly have an 8-core processor! We would've been inclined to believe it was possible until we saw that there's also meant to be a Mali-T658 GPU, 16MP camera, 4,000mAh battery, 128GB of storage, an LTE radio and it's supposedly running Android 5. The only bits we find hard to believe are the 128GB of storage and Android 5, but you never know we wouldn't put it past ZTE if they wanted to do it! There's also been the Samsung Galaxy S2 Plus announced. We've chosen not to cover it because it is identical to the standard Galaxy S2 apart from the fact that there's NFC in the battery and it's running Android 4.1.2 with the Nature UX. If you're interested in finding the full details of the device head here! Google's Eric Schmidt and ex-New Mexico governor Bill Richardson have returned from North Korea. The pair failed to secure the release of Kenneth Bae, who is currently being held in North Korea for showing tourists across their boarder, but he is said to be in good health, despite the pair not actually meeting him. Schmidt left Korea by requesting that they consider opening up the internet and embracing technology before they find themselves in a world which they cannot catch up with! You can see the full details here! It's been suggested that Europe's biggest carriers could be planning to create a European super-network which would reduce the price of your roaming antics! Deutsche Telekom (T-Mobile's parent), along with France Telecom (owner of Orange), Telecom Italia and Telefónica (The people behind O2) are apparently “intent on exploring the idea." This sounds like a cool concept, but don't expect this to happen soon, if at all, because there will be a lot of European red tape around something like this! And finally, how about this for a pretty sweet idea [UPDATE: Idea that is now a reality!]... 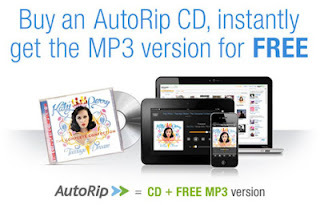 Amazon is reportedly exploring offering the possibility of automatically adding a digital copy of the physical CD's you purchase from them to your Amazon Cloud Player! This will cut out the tedious process of ripping and uploading your songs to the web-based service and basically will make the whole process a lot easier! CNet's reported that Amazon is currently thinking about the option of retrospectively adding the songs from your past purchases to this arrangement too, which would be great for us! We're pretty pumped to see Amazon do this and it'll be a feature which Google Music won't really be able to challenge! If you're interested in finding more details then click over here for the full run down from Amazon!